When God calls, say "Yes"
I can Hope in Him! 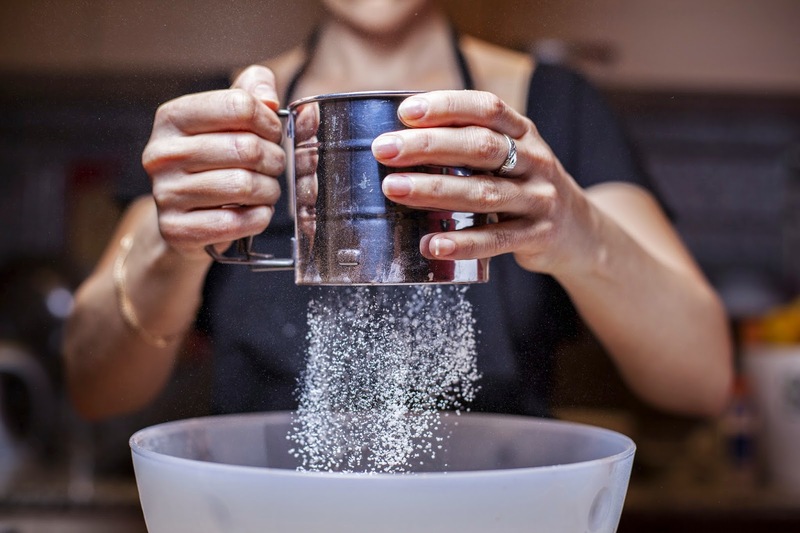 The Sifting is Already in Progress. Jesus knows those who are His - So does the enemy! First I would like to say Merry Christmas to all! 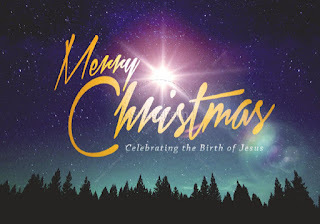 Christmas is the annual celebration Christians all over the world recognize as the time when God stepped into the world of humanity to be like us. Yes, the celebration of the First Advent of Christ, Christmas, or the Nativity of Jesus is here. For believers everywhere, it is a time to recognize that God saw a forlorn world in need and knew the only way He could relate to them on their terms, and prophetically on His, was, for a season, to become like them. The question arises, was and is the world really in need? Yes, according to God it was and it is. But in Christ that need has been met. In what way are we in need? And in what way did the Lord God meet that need? This simple article will seek to answer those two questions with the hope that it will be understood by all who read. The need that God came to meet—the need all people of every ethnicity and social status are missing—is the need for reconciliation with God. You may say, "I do not need God or to hear and read of your blabbering about foolish things I cannot see or touch." Bingo! Inadvertently it is statements like these that strike at why God became like us in the way He did so long ago. He is not some God who cannot be touched—He was touched by many who sought His healing. He is not some God who could not be seen—He was seen by dozens of thousands as He reached out to the masses so long ago. His death and resurrection attest that He can still be seen and touched today. The Bible tells us that Christ Jesus, is currently at work in the lives of men, women, and children everywhere and "He ever lives to make intercession for the saints," (Heb. 7:25). That man ringing that bell outside of Wal-Mart with the red kettle, God works through him. He is in that woman who sits with tears of compassion holding the hands of a young girl who in the heat of passion made a mistake and is now pregnant. He is in the ladle of the servers who gather voluntarily to feed the hungry their meals of compassion in food lines across the world. He is in the chaplain or pastor who kneels next to the bed of the ill in hospitals of every city. In the hands of those helping the homeless on street corners across the land He can also be found. You see, what would life be like if God went on strike? Where would those He works through, His helping hands be? 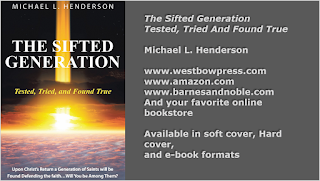 The shelters, food banks, discount clothing stores, churches, charitable organizations, and hospitals would be crippled and we quickly come face to face with a world without God. That is not what God wants, but it does not give us the right to take these things for granted either. Strip them all away and there we will stand naked and barren, ourselves in need. 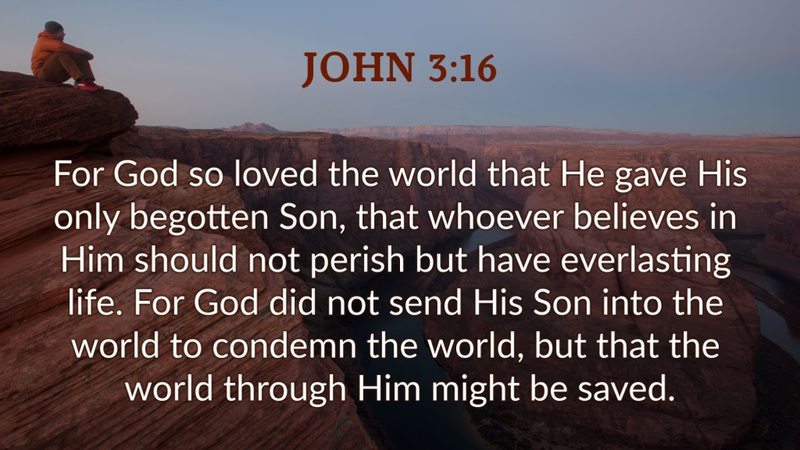 This world is in need and Christ came to meet it. So, from the pen of one blabbering fool to the mind of the one who dismisses they have need—another blabbering fool—I write today, Jesus is the answer to our needs. Here is how He met that need. God sought us and He did it beginning with the proclamations of the biblical prophets that He was coming to us. "For unto us a child is born, a Son is given," (Isa. 9:6). He followed it up through an announcement to a young virgin that she had "found favor with God." and would bear a Son who would be called Jesus. Her obedience to the divine mission led her on a trip with her husband Joseph to a small town in Judea, Bethlehem, where they would be registered as citizens of Judah. Over this city God placed a star in the sky that would lead Magi from the East to come worship the Christ-child who would one day become the King of the world. The angels announced it to the shepherds in the fields and the shepherds announced it to all they came in contact from Bethlehem to Jerusalem where they brought their flocks to the temple. In a manger, in the darkness of the night, an infant cry would soon be heard. His first breath would be His first herald evolving into the announcement, "I have come to seek and to save that which was lost," (Luke 19:10). You see dear reader, God can be touched, he can be seen in history, and He has spoke to us through the lips of Jesus. That Babe grew up into adulthood facing every trial and human need that we face. He then accepted His mission—the mission that began on Christmas Day over two thousand years ago winding up on a cruel and bloody, life strangling cross outside of a city where the destitute and outcasts are tried for crimes (thieves on each side). And so, it would be with the wicked, the rich and poor that He would die, (cf. Isa. 53:9), for the rich man Joseph of Arimathea, would have Jesus buried in his tomb (John 19:38-42). This Jesus, who taught the words of life, healed the sick, raised the dead, and gave sight to the blind is still at work in the world today. He became like us to tell us we are desperate and in need. That another day should not pass us by without surrendering ourselves to Him, reconciling the breach that sin has personally created in each of us bringing separation from God. The separation need not be a reality no longer. By His stripes (pre-crucifixion blood-letting lashes) we are healed. He took our punishment for sin on Himself. Jesus did not deserve to die. He committed no crime. He is the only one who can say without lying, "I have not sinned," (John 8:7; Rom. 3:23; 2 Cor. 5:21; Heb. 4:15, 7:26). Because we are sinners and He is sinless, by faith we can come to Him and ask forgiveness. He is the only one who has the right to forgive. 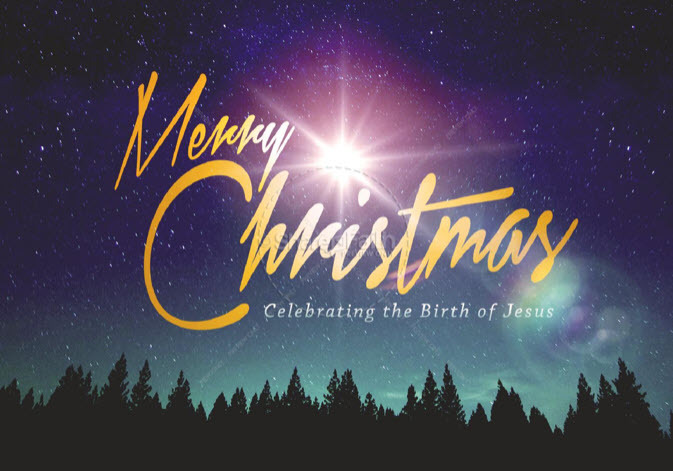 Christmas Day is a time for us to not only come together as family and celebrate by giving gifts of love to one another, but by remembering the true gift of love that God gave to all of us, Jesus, the King of Kings and Lord of Lords. This season is in commemoration of Him. Today He still bids us to come to Him. The healing of the breach began in a manger and was appropriated on a cross. It was validated through the resurrection and made sure through His reconciling work. Won't you trust Jesus today? Yes, the chorus of vs.1 is often sang in praise song and hymn to simply represent a longing of our heart to be near unto God. But the context points more to the longing of a discouraged and displaced temple singer, separated from his daily temple duties, as he wanders like a deer searching for water in the parched wilderness with David in exile from Saul. In other words, he has temporarily lost his job, his security, his place, and his livelihood! 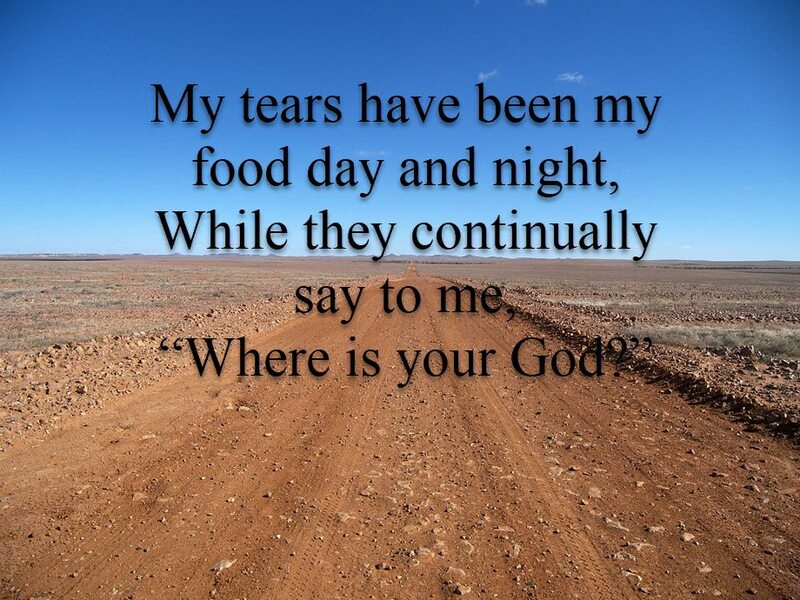 Night and day he thirsts for God's quenching presence that he might be restored, but in its stead, receiving only salty tears as a substitute. Can more clarity be necessary than what is found in this biblical definition of the consolation succored in post life-altering events? Loss, struggle, brass ceilings, the need for restoration , and the longing for God to respond? Biblically speaking, numbness surfaces when it seems all hope is lost and our circumstances seem to out-pit God's ability to transcend them. I know this sounds crazy to so many. 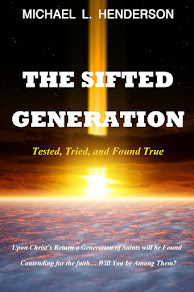 The unredeemed will especially balk at such indiscriminate hope in who they feel is imaginary, and even believers can toss God out in the hopes of some form of human redemption to their problems. But the believer is never asked to give place to such unredeeming thoughts. For instance, the one thing that is completely out of the realm of human possibilities is the ability to secure a home in eternity without the intervention of the cross of Christ. 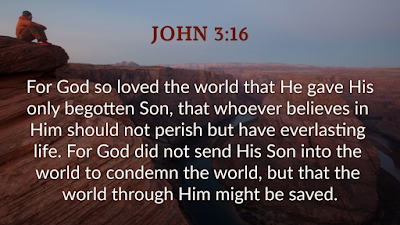 Salvation is of God not of man. If believers are all to happy to turn to Christ for this humanly impossible securement, why are we so hesitant to turn to Him in the temporal and lapsing things of earthly concern? Our hope is not in the things of this world. We must reach out to He who transcends all visible reality, Jehovah God--our Father who art in heaven. How then do we endure the pain? How can we continue to function in a normal manner when our lives are disrupted by the unexpected? Could it the answer be found in the "waiting?" The old adage that there are only two things sure in life, death and taxes, is not really true. We spend more time in life waiting than writing a check or expecting death. The trauma of the unknown can bring the strongest of believers to emotional fits, the shallowest of believers to disbelief, and the new believer to defection. If God would only __________ (you fill in the blank). To wait upon God, is the noblest of actions. It starts with the belief that God does know of our situation and He isn't dismissive of our pain, nor is He desensitized to it. Charles Spurgeon once stated, "He puts a bit into the mouth of rage, and a bridle upon the head of power. "1 Yes, that is the power of our God in action. We must remember that. The first thing we must do if we really want relief is seek God for recomposure. We have to descramble what the life-altering event scuttled. We have to seek Him to give us clarity and clear vision concerning what has happened and where we are currently at (this is not a suggestion). Seeking God is tantamount to expressing faith that He holds the future. We must get rid of annoyances, such as seeing joy in the lives of others when it is not present in yours. This is renouncing envy and replacing it with biblical thanksgiving for the Lord's work in their lives. Renounce it. It is only a distraction. The next thing is to renounce what is not a current reality and take to the Lord the things that are. For though we walk in the flesh, we do not war according to the flesh. For the weapons of our warfare are not carnal but mighty in God for pulling down strongholds, casting down arguments and every high thing that exalts itself against the knowledge of God, bringing every thought into captivity to the obedience of Christ" (2 Co 10:3–5). Any person, place, or thing, be it material or spiritual, that halts or suppresses the truth you know to be found in God must be recognized for what it is, a distraction. Those things are often figments of our imagination brought on by listening to the wrong sources and they work to make God less than what He is, the all powerful Creator and Sovereign that transcends all visible and spiritual reality. Understand, I am trying to be real with respect to the numbing pain of parched environments life-altering events bring to bear. I refuse to oversimplify the issue by quoting how spiritual giants of the past have endured the wilderness and prospered for it. I say this because, you are not them, they are not you, and you are in what seems to be a pit of despair. You need to be dug out and you do not need to be bombarded with a cacophony of "so-and-so" was where you are and look at them now. Neither do you need to hear you have a sin issue or you brought all of it on yourself. We all have sin issues and some things are not brought on by ourselves which is all the more reason to seek God for strength and the answers. What needs to happen is for us to get to the point of not allowing the pain of the situation to distort the truth surrounding God in our lives. We somehow need to get to the place of refuge where we do not feel the scourge of the situation, but the presence of God in a very real sense. Although our enemies surround us, the presence of God will stay our focus upon Him. Getting to this place may be challenging, but it is achievable. To get there, the believer must rise above the circumstance through a willingness to let all of the peripheral circumstance (the things we see as "bad" or even "devastating") fall into the hands of God. If you think about it, Jesus stated that He holds the believer in the clutch of His fist and nothing can get at us without first getting through His clutch. We may not like--we may even detest--having to allow things to play out in God's procession of events, but really, is there any better way? Could there be anything more to define what a Christian really is, or is supposed to be, than one who pants for God like a thirsty deer in the wilderness? Our real need is one of purpose, placement, and position. We find purpose from the events in our lives that find their placement God's overall structure, positioning us to stand firmly upon God's word through Christ our Lord. For the believer, this was where we once were and where we need to get back to. Any toppling of this former structure carries a meaning that, at the present, only God knows. But be assured, that the purpose, placement, and position where you are now headed, if you will accept it, is and will be greater than where you were before. This means letting go of the past and moving forward with anticipation of the future. Believers are an enigma amidst the world of clingy things. Realizing we need to let go of our other past reality is not the end of all things. Rather, it is the beginning of a whole new adventure. Faith is the victory that will compel our direction. Again, life is a series of waits and this is where waiting fulfills its perfect purpose. The temple singing psalmist went on to direct his mind to focus on the past days of singing and worship, fulfilling his purpose in the house of God, but finds that that alone still does not alleviate the clinging pain. But he has not lost hope in God for he knows he will yet again praise the Lord, the "help of his countenance." So then, where do we go from here? Where did this temple singer go? He replaced his remembering of where he once was, in the joyful crowds of the temple, with another memory, the memory of the transcendent God--the King of Kings and Lord of Lords. 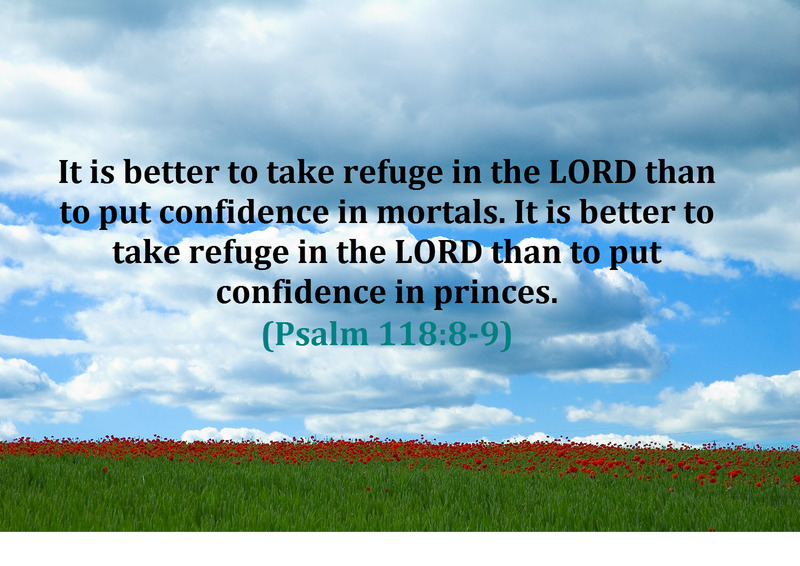 The help of my countenance and my God. (Psa. 42:11). The believer knows that true relief in the period of waiting is bolstered by the hope that is found in God's declarations. He cries out "Send Your light and Your truth!" Why? Because He knows they will be the source of leading to the path of restored joy! 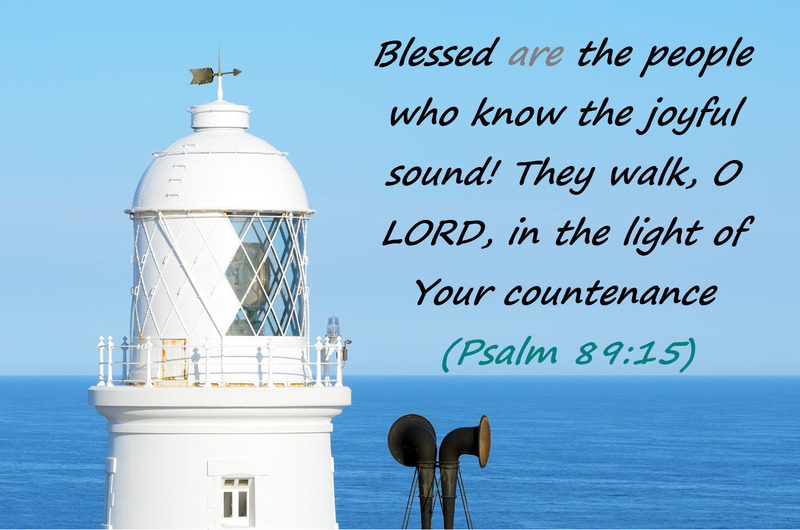 When we heed God's direction and follow the light of His leading, we can say with the psalmist, "Then I will go to the altar of God ...And on the harp I will praise You." The answer to our situation is not what any of us could do, or we would have done it already, but rather, what God can do. In the meantime, do like me, practice some knee bends and do a little burning of the midnight oil in God's word. Let Him direct your future path. 1 - Spurgeon, C. H., The Cheque Book of the Bank of Faith: Being Precious Promises Arranged for Daily Use with Brief Comments (New York: American Tract Society, 1893), 187. Lighthouse or Foghorn? The Christian Relies on Both! Fog horn or lighthouse, which is best? Both are used to warn of craggy rocks, beaches, and coral reefs, all dangerous areas for the mariner. These two warning systems have been used for ages and despite GPS, are still used today. She continues the article telling us how even this technology is aging (misfiring) and being replaced with " a Mariner Radio Activated Signal System, which allows boaters to activate foghorns themselves when they need help navigating during inclement weather. "2 In other words, the need for assistance in navigating during times of poor visibility is being placed solely in the ship captain's hands. He can choose to sail on with or without receiving help from the ominous sound of a foghorn. In the believers life, there are times when we need the illumination of the lighthouse and others, when we need the low and blaring blast of a foghorn. Unlike the aging and changing technology of the fog detector, God never ages nor changes. He is the same yesterday, today, and forever (Hebrews 13:8). 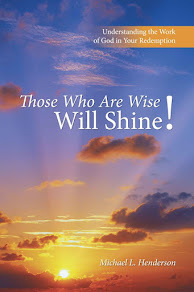 The lighthouse of God's word is the illuminating work of the Holy Spirit, who in times of spiritual discernment guides us along the right path bringing to our remembrance the promises Jesus spoke (John 16:13). The foghorn is needed during the foggy and unclear times of life—the times when we know the light exists but the static in our lives, like the fog, seems to drown the ever burning lamp of illumination. It is then we need to hear from God. Are you in need to hear from God? Where are you traveling today? this week? this month? this year? Do you need illumination and discernment to make a choice? Ask the Lord, and turn to the lamp of His word. He often speaks to us through His word or uses it to point us in a direction where we will see His unfolding will. He will never fail you. Maybe, your traveling through the rough seas and the storms around you seem to be suppressing the light. This is when you need the voice of the Spirit—you need to hear from God. The Bible refers to His witnessing work as the still small voice of God. It is God's foghorn. It may not blare as disturbingly loud, but it is still audible. Jesus said, "My sheep hear my voice" (John 10:27). When He said this, He did not mean just sometimes or even just for some people. If you are a child of God, you can hear His voice. The question is how? In my life, I have to say there have been times when I distinctly heard the voice of God softly speaking and prompting me, especially through the Bible. At others, I have heard him through a filling of the Spirit or even in the witness of a cool refreshing breeze. There are many ways God speaks to us. But, they all have a common denominator, His peace accompanying His witness. Hear this my friend, "God is not the author of confusion but of peace" (1 Cor. 14:33). Also, "And the peace of God, which surpasses all understanding, will guard your hearts and minds through Christ Jesus" ((Phil. 4:7). But God also warns us through the foghorn of dread. Even in dread there can be peace when it comes from God. When we are going through changing times or dark circumstances, we are prone to mistake our emotions for God's peace. If a door or a window shines a crack of light, we think "Wow! This is good news. This must be where God is leading. I feel so confident." It is good to remember that during these times, we are vulnerable and susceptible to emotional swings. The uplift we experience can be easily mistaken for God's will because we are apt to jump at anything that will bring relief. The smart thing to do when experiencing this is to give some time to prayer and waiting upon the Lord to make sure it is from Him. In other words, do not act hastily. There was a time when I was facing a change in ministry. I knew the time had come for me to move into a new pastorate. God's peace had left me in my current position filling the vacuum with unrest. The Holy Spirit was witnessing to my spirit that it was time to move on. He had another place for me. I prayed of course and sought God for where that new place may be. A few days later, I was asked by a pastoral search committee if I would come and visit their church. This was quick and exciting response. Also, it was in an area that seemed to be a dream come true. I continued my usual studies and interactions with other pastors while I waited. Soon the day came. I grabbed my Bible, my sermon notes, and an over night bag and was off. I was so excited. But soon the raging excitement turned to dread. As I approached the quaint village, the peace I thought I had in my spirit quickly turned to sour grapes. I was only about a mile from the town when my high expectations were doused with uncertainty. It wasn't the town, the beautiful church, the village, or the people of the church; I hadn't even made it into the city or seen any of that. It was simply God saying, "You will not take the pastorate of this church." Knowing this, I decided I needed to fulfill my commitment to bring a message to them but wondered why God had led me this far only to turn me around. I pulled into the church parking lot and was met by several people with hospitality and goodwill. The church building was beautiful and set in a great neighborhood. They gave me some time to relax, some refreshments, and some quiet time to prepare for worship. What they did not know, is that God had had already closed this door to me. What I did not know, was why? That morning, I brought a gospel centered message that was well received and the church was quietly dismissed. Those who made up the search committee and the leadership stayed in the sanctuary preparing for a Q & A to find out more about me. The usual doctrinal questions were asked, and I told them more about me and how God had been working in my past. This was all well and good, then the hammer dropped. A woman stood and asked if I would be willing to lead their men and the community in a leadership role that involved a now nearly defunct Men's ministry organization. Just days before, I had learned this ministry was very ecumenical and forbade any teaching that was not one-hundred percent accepted by all denominations. This meant I would be limited on what I could teach. I certainly could not join a group that would put a muzzle on God's word. But more than that, through the harangue that fired back in response to my simple answer concerning why I would not fulfill this request with this organization, I found out that it was the women who ran the church. They were desperate for a pastor to lead the men of the church into submission to what they thought a man should be, not what God desired a man to be. To make a long story short, by their own admission, they were not looking for male leadership in the home or even in the church (which would be admirable), but acquiescence to their desires. The direction they were headed was wrong because the motive was wrong. Now I knew why God said no. Since that learning experience, I have set it in my mind to not trust my emotional response, but to seek God's face, pray, use the discernment of His word, and to wait patiently for His direction which would always come with His peace. Whether it was the illumination from His word, His lighthouse, or the foghorn of the Spirit, the still small voice which stirs the believers heart, I would wait upon Him. Sometimes life takes us into dark and clear places where we need the lighthouse of God's illumination and sometimes it takes us into fierce storms and driving rain or simply, thick fog. It is then we need to listen for the foghorn of the Spirit that will stop us in our tracks to seek His divine will. Remember what Jesus said, "My sheep hear my voice and they follow me." Follow Him, won't you? Christians need to get used to the idea that since the Lord is immutable, or unchanging, this also includes His will. 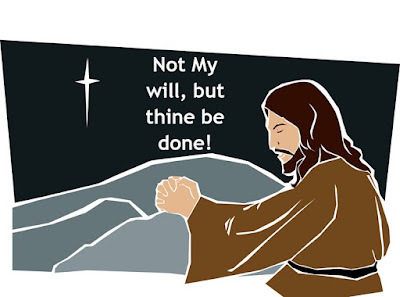 We need to realize that in any situation, in the end, His will is what will be accomplished. In the Garden of Gethsemane, shortly before His arrest, kangaroo trial, and crucifixion, Jesus said as much. While He was in the garden praying, He expressed the following: "My Father, if it is possible, let this cup pass from Me; nevertheless, not as I will, but as You will” (Matthew 26:39). And again, a few minutes later: "a second time, He went away and prayed, saying, 'O My Father, if this cup cannot pass away from Me unless I drink it, Your will be done'" (Matthew 26:42). This is an excellent picture of divine transparency—a searching picture of His humanity. He knew what was ahead, and just like the imprisoned John the Baptist, who sent some of His disciples to Jesus asking, "Are You the Coming One, or do we look for another?" (Luke 7:20), when our flesh is under pressure, we can sometimes say or think some things which are completely outside the realm of God's will. Let's look further. Most Bible students are familiar with the story of the exodus of the children of Israel from Egypt under the mediatorial leadership of Moses. What most could easily recall are the miracles in Egypt, such as, the parting of the Red Sea and their crossing to the other side on dry land as they trekked to the Promised Land. They will also recall that Israel rebelled and had to spend forty years in the wilderness before actually going into the Promised Land under the mediating leadership of Joshua. But many of the "in-between" details some may not recall. In Deuteronomy chapter one, Moses briefly recounts events that led to the "why" of their forty-year incarceration in the wilderness; simply put, they refused to follow the will of God. Yes, there were murmurings and complaints, but they are really only a sub-story to the real reason why they did not enter into the Promised Land at the appointed time. At this point, let's allow the Scripture to speak by framing their disobedience in the correct context. These instructions did not come without further direction. Moses recounted how the Lord had led them out of Egypt stating, "In the wilderness where you saw how the LORD your God carried you, as a man carries his son, in all the way that you went until you came to this place." and further, He "went in the way before you to search out a place for you to pitch your tents, to show you the way you should go, in the fire by night and in the cloud by day. "2 God had literally led them, carried them, and chose the places they would encamp. So the question is, if the Lord was their guide, protector, and provider thus far, why couldn't they trust Him to take them to the final destination? I realize that hindsight is greater than foresight and we can easily sit in wonderment at their lack of faith, but the question still needs an answer. God had stated His will and there would be no going back on that, His will would be accomplished with or without them and in this case, without them was God's decree. Do Not Reject God's Leading! This brings us to the point of the post. When we knowingly and intentionally pass up a divine appointment, and or, opportunity—a door God has opened and set clearly before us—no amount of repentance, prayer, or backtracking will open that door back up. The Bible describes seasons of opportunity—times of visitation—and as believers, our responsibility is to walk in and through them knowing the Lord at the helm and will fight for us. An example? Do you see the last line? All of us have many visitations—times when the Lord is moving us, directing us, and pointing us in the way we should go. It is during these times we must not say "No! I will not go." Again, no amount of prayer is going to deliver us back into that "now passed" and "once decreed" will of God. What we will have to submit to, at least for a season, is God's discipline. It may be, as was the case with Israel, "forty-years" later, that the Lord will again open the door, but not until we have been disciplined to obey. So, what happened to Israel after they rejected God's divine direction? The disobedience of Israel at the outset of God's open door to the Promised Land, was a hard price to pay, excepting Joshua and Caleb, only those twenty-years and younger were able to eventually enter the land God had sanctified for their inheritance. What we can take away from these simple truths, is a one liner: "When God calls, obey." His will will always be accomplished and no amount of complaining or artful persuasive prayers are going to change what He has set in stone. So, the advice I give myself is PBJ, "Pray hard. Be discerning. Join God." I might add, join Him at the time of His choosing! 1 - The New King James Version (Nashville: Thomas Nelson, 1982), Deut. 1:6–8. 2 - Ibid., Deut. 1:31, 33. 3 - Ibid., Luke 19:41–44. 4 - Ibid., Deut. 1:42–45. 5 - William H. Bates, “God’s Forgiveness of Sin,” Bibliotheca Sacra 79, no. 315 (1922): 260. 6 - Ibid., NKJV, 2 Th 1:11–12. Lord, today and over the past few weeks, I have been facing the issue of job loss. So my first response has been to pray. It is in this vein of prayer , that I come to You. So what am I asking? Am I asking You to change circumstances that affect others in order for You to selfishly answer my prayer? or, am I asking for you to give me peace and patience to wait for the circumstances that involve me, as well as others, to come about as You have sovereignly ordained? I honestly feel, the answer is found in waiting. For if You change my circumstance, rather than allowing me to slide into Yours, then You would need to change the circumstances that involve everyone else to make room for me. That could mean detrimental results for others. Lord, I do not want others to face changing circumstances on account of my needs. But, I do desire for You to work out Your plan in my life in the provisional way that only You can, because only then, will it be a mutual blessing for all parties involved. So I wait... and I pray. I ask for wisdom and insight into Your divine directions. It is through Christ my Lord and Savior I pray, amen. The refugee crisis in our world today, has sparked a lot of talk concerning the Christian's responsibility toward foreigners. Because it seems to be a touchy subject for some, I would like to come at it from a non-biased point of view. 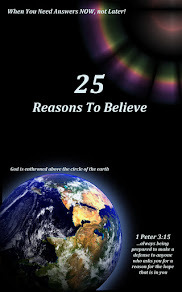 Pointedly, I want to highlight a few important passages that I believe offer an honest understanding of the topic. People, in general, do not ever like to be wrong. Some will go as far as only providing one side of a story to prove their point, even if they know the other side to be true as well. This can be seen in politics and main stream journalism all the time. The truth is censured based upon what side you want to support. Although this is unbalanced, and unfair, it seems to be easier than trying to sort through both sides and come up with a rationale that satisfies all. That said, there are many factors that motivate a person to stand for this or that, or to side with this person or another. Balance and truth is what I desire to present today, showing that in order for truth to be truth we must avoid half truths. What does the Bible say that can be applied to the believer when it comes to international refugees and our responsibility? 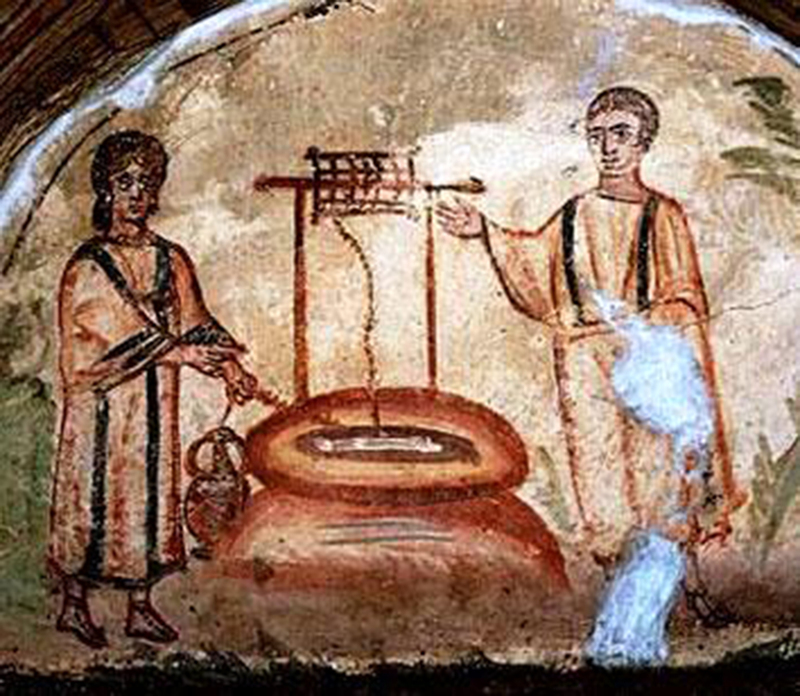 1) Concerning hospitality: "Be hospitable to one another without grumbling" (1Pet. 4:9). (see also Rom. 12:13; 1 Tim. 3:2; Titus 1:8) I have chosen this verse because it seems to be one of the obvious choice passages used to defend allowing a stranger into our home or even simply serving him/her. It strikes at the heart of service, and no true Christian can deny that we are called to serve one another in love (Gal. 5:13). This includes refugees. 2) Concerning Christian love: "If you really fulfill the royal law according to the Scripture, 'YOU SHALL LOVE YOUR NEIGHBOR AS YOURSELF,' you do well" (James 2:8). This will be the most quoted verse when it comes to service toward refugees. It is clear and concise. It is mentioned twice in the Old Testament, Lev. 19:18; Zech. 8:17. It is mentioned eight times in the New Testament, Matt. 4:43-44, 19:19, 22:39, 12:31; Luke 10:27; Rom. 13:9; Gal. 5:14; and James 2:8. The question most associated with this passage came from the lips of a religious lawyer in Luke 10. In verse 27 Jesus quoted from the old law, something a religious lawyer would be well aware of, considering interpreting the law was his responsibility. "You shall love your neighbor as yourself" (Luke 10:27). The lawyer then replied, "Who is my neighbor?" Jesus' reply was with the Parable of the Good Samaritan, Luke 10:30-37. One of the many points of the parable is that my neighbor is anyone who is in need. In this case, a Samaritan (foreigner), one despised by the Jews, was the one who helped out the unnamed man. Something, most likely, the lawyer in question was lacking. Therefore, we are called to love all people not just those of our own nationality. 3) Concerning safety: "But know this, that if the master of the house had known what hour the thief would come, he would have watched and not allowed his house to be broken into" (Luke 12:39). In this command of Jesus, concerning the spiritual state of believers, and in reference to the return of the Lord, we are told to always be aware and alert to the Lord's coming, which could happen at any time. Those who are not watchful are in a dilapidated spiritual state and are like the unwise master of the house who allowed the thief to break in and wreak havoc. The argument could be made that the Lord recognizes that to live wisely means to live in such a way that we are hospitable to all people, that we love all people, but that we also be proper stewards of what we own, which includes security and safeguards. Not allowing our homes to be broken into is not just so that our belongings will not be stolen, but more certainly, that our loved ones are not harmed in the process. So then, biblically speaking, I think a case can be made for putting proper (as opposed to improper or unreasonable) safeguards in place to protect our country from external danger. Does this mean we live scared? No. not at all. Does this mean we snub those that are already here? No, on the contrary, we love and serve as Jesus did. It also does not mean we hold up everyone who wants to enter the US for the sake of a few. 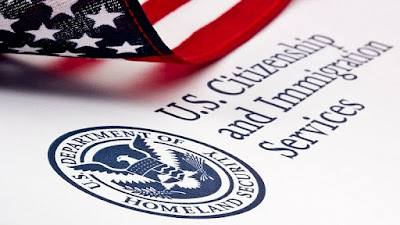 However, it does mean that it is wise to properly vett those who are coming over illegally in order to make sure we are not allowing danger to sit on our couch. There is nothing wrong or unwise about that. We can love, serve with hospitality, and still safeguard our homes or country with out being labeled a hater. 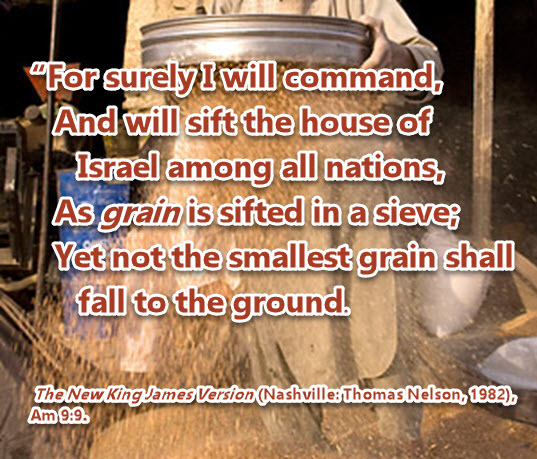 1The New King James Version (Nashville: Thomas Nelson, 1982), Lk 10:30–37. The image above reminds me of my childhood Kansas. 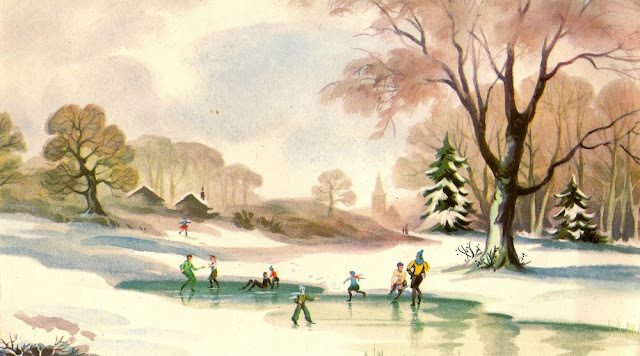 Every winter my brothers and I would go down to a wooded patch behind our home where a low-lying seep would freeze over in winter to make our very own skating rink. We were not wealthy enough to have ice skates, and it didn't matter, our boots sufficed just fine. For hours on end we would skate or play stick hockey, all the time being so thankful that winter had come. For us winter was special. It allowed a closer time to bond together as siblings and to appreciate things such as a home and heat to warm it, hot soup, and of course snow...and in Kansas we got plenty! Those days are gone just like the year that has just passed. I no longer live in Kansas, but Illinois. Nevertheless, the childhood memories will linger and I do hope that all of us can find something to be thankful for in our past. It is my prayer for all, and for all who read this, that you will place your faith solidly in the hands of Jesus, the Creator of the world and the universe, the Savior and Lord over this world and for all who will believe in Him. The angel said "...you shall call His name JESUS, for He will save His people from their sins" (Matt. 1;21). We maybe clueless as to the outcome of the days ahead, but we will never be alone if we will place our faith in the Son of God, Jesus, who also promised to all who believe, "I will never leave you or forsake you" (Heb. 13:5; Josh. 1:5). With Him, the days ahead will one day be memories of our childhood, and we will look back and say "Great is the Lord" and like Mary, "who is mighty has done great things for me." To all my fellow veterans, active, retired, and having served, I salute you for your gallantry, professionalism, ethic, heroism, sacrifice, and love for the our nation. It has been your dedication to God and country that has compelled you to step up when our national security and interests were threatened. When the oppressed around the world cry out it has been the US Service members who have gone to their rescue. When called upon you never shied away. You stood strong and proud. For this and so much more I salute you and pray the Lord's blessing upon our nation and upon you and your families. May the USA consider to prosper. May we continue to be the right arm of the outcast lifting them from harms way. May we continue to persist in our support of what is right over what is wrong. May we continue to wave the banner of old glory proudly for all that she has stood for. “For, lo, I will command, and I will sift the house of Israel among all nations, like as corn is sifted in a sieve, yet shall not the least grain fall upon the earth.”—Amos 9:9. The sifting process is going on still. 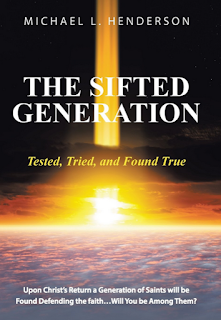 Wherever we go, we are still being winnowed and sifted. In all countries God’s people are being tried “like as corn is sifted in a sieve.” Sometimes the devil holds the sieve, and tosses us up and down at a great rate, with the earnest desire to get rid of us for ever. Unbelief is not slow to agitate our heart and mind with its restless fears. The world lends a willing hand at the same process, and shakes us to the right and to the left with great vigour. Worst of all, the church, so largely apostate as it is, comes in to give a more furious force to the sifting process. What is amazing about Amos' text and Spurgeon's sentiments is that all who are true believers need not worry on that final day, for it is Christ who upholds the faithful. The chaff mixed in with the wheat will have long since been swished away by the sifting breeze of the winnow and the sharp slice of the divine scythe. Only those intimately acquainted by the blood of Christ will be found in His mercy--yes, from the wafting wisp of the dimly burning flax of a believer, to the ambassador for Christ on mission--all will be saved on that day. Although we can rejoice in these facts, it is no secret that this sifting of the church is taking place right before our eyes. The true believers are making a stand and the false are on the sidelines. Self-gratification has gripped the hearts of Western civilization even to the point that many believe they do not need the Lord. The best time for sifting the heart and the church is now, while there is still time to repent and turn to God. For on that final day when the world stands before God, time will be spent, and salvation will no longer be available, (Rev. 20:11-15). What stops you from doing this now? What holds you back from the inheritance of eternity with Christ and life-everlasting? 1- C. H. Spurgeon, The Cheque Book of the Bank of Faith: Being Precious Promises Arranged for Daily Use with Brief Comments (New York: American Tract Society, 1893), 267. 2 - The New King James Version (Nashville: Thomas Nelson, 1982), Mt 7:22–23. 4 - The New King James Version (Nashville: Thomas Nelson, 1982), Ro 2:16.